Lucy is at the desk talking to another patron. She's getting scissors out of the drawer. Lucy: We have scissors. 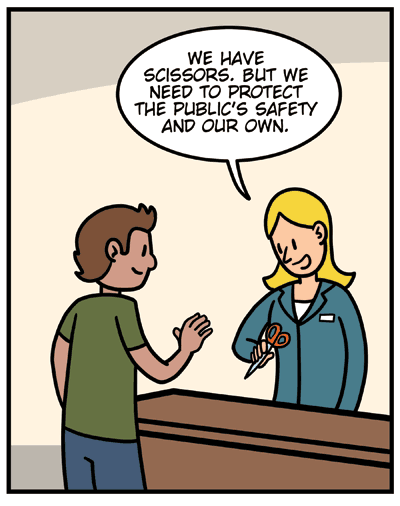 But we need to protect the public's safety and our own. Lucy: I need you to take one step back. The patron has stepped back from the desk. Lucy places the scissors on the table. Lucy: Do not step forward until I give the word. Lucy is holding riot shield with LIBRARY written on it. 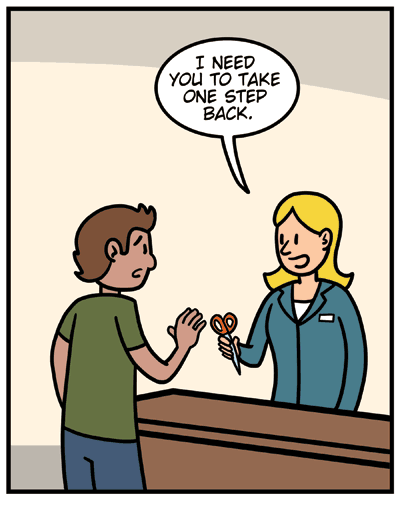 Lucy: SLOWLY APPROACH THE SCISSORS. that made me laugh! what a good start to a new web comic! 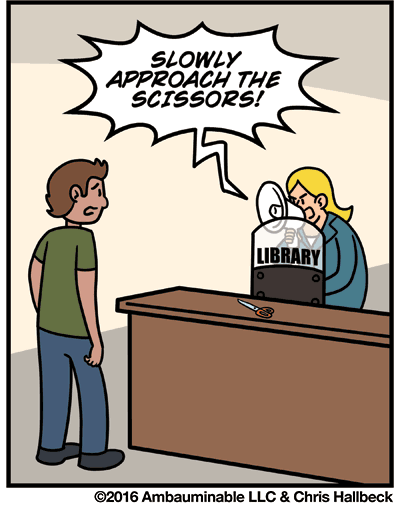 I have to admit that I am sometimes hesitant to give out scissors to some of our patrons. Good luck with the new strip. I’m so glad that there is still a library comic out there. I loved Unshelved and read it every day before I went to work. Hi, I’m a Canadian School Librarian and I loved Unshelved/Overdue and am now looking forward to your new comic strip! Good Luck! Funny!!! 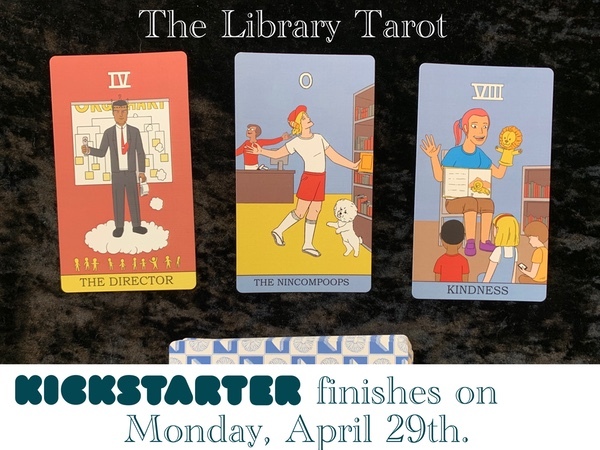 I am a retired librarian who found your old strip – Unshelved- when I was working at an all-boys college prep high school. While the setting was different, the themes often were the same which is why they were often so funny. Good luck with your new strip, I look forward to enjoying it and your creativity. Just clicked the ad in Unshelved for this comic. 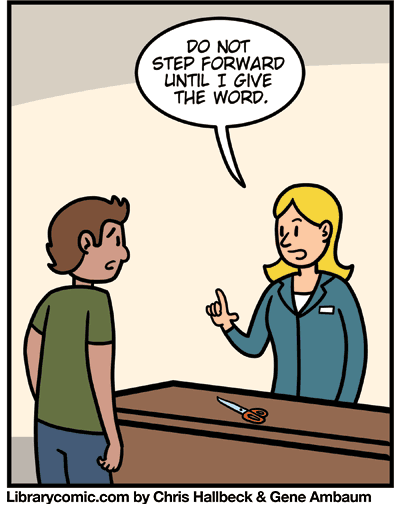 All the joy of Unshelved in a new comic. Oh boy!! !